If you asked 20 people to name a novelist, you would probably get 20 different answers: Stephen King, J.K. Rowling, Ernest Hemingway. Ask them to name a band, and again, you'll probably get 20 different answers. But if you ask them to name a comic book writer, unless you're at a comic book convention, you'll likely get 20 people who all give the same answer: Stan Lee. And this is hardly surprising. 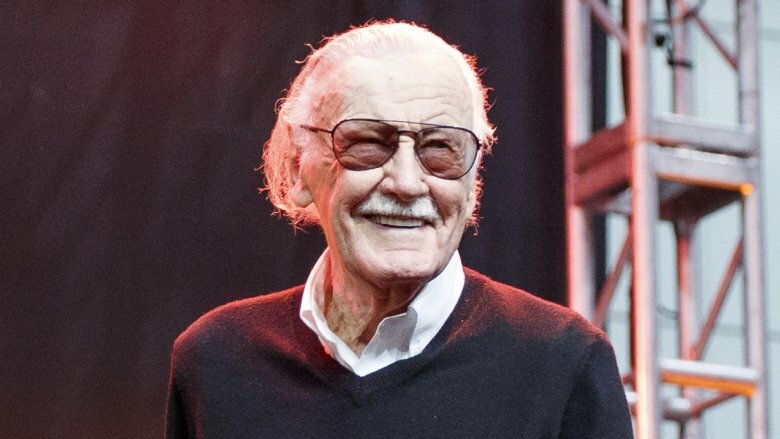 In the course of his career, Stan "the Man" Lee and collaborators such as Jack Kirby and Steve Ditko created some of the most recognizable characters in American pop culture, including Spider-Man, the Hulk, Iron Man, the X-Men, Thor, and Black Panther — not to mention Groot, which is a thing that would sound very weird to a time traveler visiting the future from even as recently as 2013. Furthermore, as editor and publisher of Marvel Comics, Lee cultivated an ebullient public face and irresistible charisma that drew readers to his books in droves, and as a writer, his decision to aim his scripts at older and more sophisticated readers may have saved comics as a medium at a time when it was struggling for readers. Although Stan Lee passed away on November 12, 2018, it's impossible to overstate the influence his life and work have left on comics, superheroes, and pop culture at large. 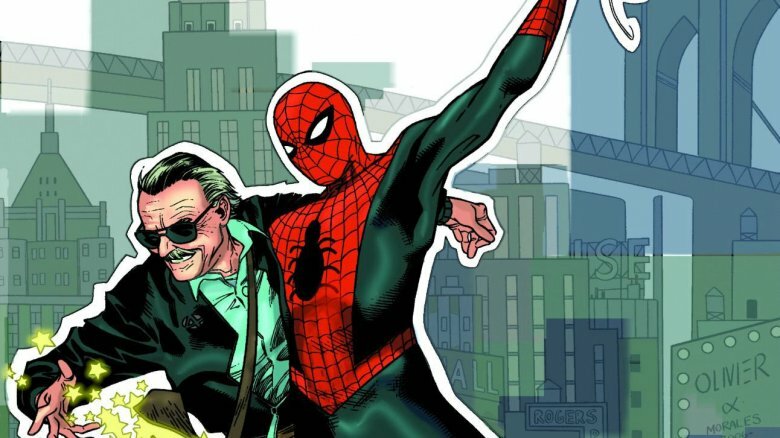 Here is a brief look at the fantastic, amazing, incredible, astonishing life of Stan Lee. "If This Be My Destiny…!" As laid out in a profile by Vulture, Stan Lee was born Stanley Martin Lieber on December 28, 1922, in Manhattan's Upper West Side, the oldest son of Celia and Jack Lieber, middle-class Jewish immigrants from Romania. According to Lee himself, his mother greatly encouraged his writing as a young man, and in high school, where he adopted the nickname "Stan Lee," he worked a number of creative jobs, including writing obituaries for a local news service and publicity copy for a hospital. He had dreams of becoming a great American novelist, but destiny had other plans. In 1940, Lee took a job as an office boy working for his cousin's husband, Martin Goodman, the man behind the comic book publisher Timely Publications. When the teen Lee started at Timely, the only employees were Lee, a writer named Joe Simon, and an artist named Jack Kirby. The latter two had just created Timely's first in-house hit with a patriotic superhero named Captain America. Lee, meanwhile, was an energetic presence in the office, known for bounding around playing an ocarina, no doubt to Kirby's chagrin. Lee advanced from office boy to writer within a year, contributing a prose story to Captain America Comics #3, in which Captain America throws his shield for the first time. In 1941, Simon and Kirby would leave Timely, and the 18-year-old Lee found himself as the editor-in-chief of Timely Comics — a job he would hold for over 30 years, as Timely became Atlas and, finally, Marvel Comics. Lee's tenure as editor-in-chief wasn't entirely uninterrupted, however. Like many young men at the time, he enlisted in the Army in 1942 in order to contribute to the war effort. As the Washington Times explains, Lee served in the U.S. Army Signal Corps, and in 2017 he was honored for his service by being inducted as a member of the Signal Corps Regimental Association. Having been transferred to the Army Training Film Division in New York, Lee wrote training material and copy for signs and posters. It seems that a particular focus of the work that Lee did was warning soldiers of the dangers of venereal disease. In both of his autobiographies, Lee proudly claimed to have coined the phrase "VD? Not me!" for Army materials. Not exactly "Mourning Becomes Electra," but, hey, he probably did help some folks out with that one. Lee was honorably discharged in 1945 and went immediately back to Timely, where he presumably tried to think as little about venereal disease as possible. In 2016, Lee told The Hollywood Reporter the story of how he met his wife Joan: as a kid, he would draw his ideal woman over and over again. When he returned from the Army in 1945, one of Lee's cousins told him where he could meet a cute girl named Betty. Lee went to Betty's apartment and knocked on the door, but Betty didn't answer. The woman from his drawings did. That woman was Joan Clayton, a British hat model who had apparently impulsively married an American soldier in order to spite a childhood sweetheart, but fell for Lee immediately, just as he did for her (Lee claimed he proposed on their first date). At the time, the easiest way to get a divorce was to go to Nevada for six weeks, long enough to establish residency, so that's where Joan went. An hour after Clayton received a divorce, she married Lee in the next room — with the service performed by the same judge who'd granted her divorce. The two got married in 1947 and stayed together for 69 years until Joan's death in 2017. They were, in the words of THR, "hopelessly devoted to each other." Together they had two children: Joan Celia, born in 1950, and Jan, who sadly died during infancy in 1953. Lee frequently cited Joan as his greatest inspiration, and she made a cameo alongside her husband in 2016's X-Men: Apocalypse. The 1950s were a difficult time for comic books in general, and for Timely — now known as Atlas Comics — in particular. As Vulture explains, comics were collapsing under the moral panic related to juvenile delinquency and the related congressional hearings, but Atlas had been struggling to find a foothold, turning out trend-chasing Western and crime comics. Worse, as CBR explains, Martin Goodman decided he no longer wanted to distribute his own comics. On its own, this decision might have been fine, but the problem was that Goodman decided to distribute through American News Company, who were sued by the federal government for holding a monopoly over newsstands. Atlas was forced to make a deal with their biggest competitor, DC Comics, in order to get their comics distributed. This deal meant that Atlas could only produce eight books a month, a stipulation that lasted well into the Marvel period. This meant a heartbroken Stan Lee was forced to lay off almost his entire staff, leaving him once again as the sole writer and editor. Lee led a skeleton crew until Atlas started hiring new artists again, but the good news is that these new hires included Steve Ditko and a newly returned Jack Kirby. Still, a despondent Lee, now in his late 30s, considered stepping away from comics for good until, according to Lee himself, his wife told him not to quit until he'd made just one book he could be proud of. That book turned out to be Fantastic Four. There are two main versions of the story of how the Fantastic Four were created, and Vulture lays them both out: Jack Kirby says he entered the (now) Marvel offices to find the furniture being moved out and Stan Lee crying, so he rolled up his sleeves and made the book that saved comics. Alternatively, Lee said Martin Goodman told him to make a book about a team of superheroes to rival DC Comics' hit series Justice League of America, so he did. Whatever the truth, the undeniable fact is that Fantastic Four is the book that changed comics forever and arguably saved the industry. With this new book, Lee and Kirby rang in the Marvel Age of Comics, with bombastic stories overlaid with Lee's trademark carnival barker narration and pseudo-hip dialogue coming out of the mouths of heroes with feet of clay. Lee and Kirby's 100-plus issue run on Fantastic Four is an unmatched accomplishment in terms of influence and scope. By the third year of the title's existence, the pair were turning out hit after hit: the Inhumans, Galactus, "This Man, This Monster," all back to back. As Syfy points out, the FF were the perfect blend of mind-bending science fiction and down-to-earth family dynamics. The claim that ran above the title of most issues — "The World's Greatest Comic Magazine" — was no idle boast. 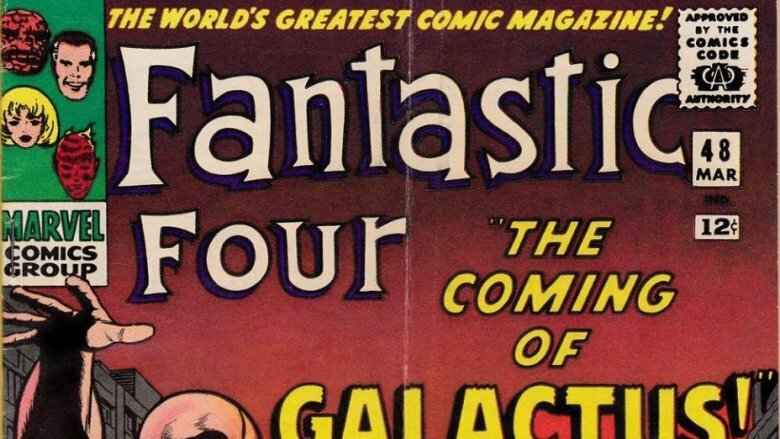 The Marvel Comics revolution was here in 1961, and Fantastic Four was its opening salvo. 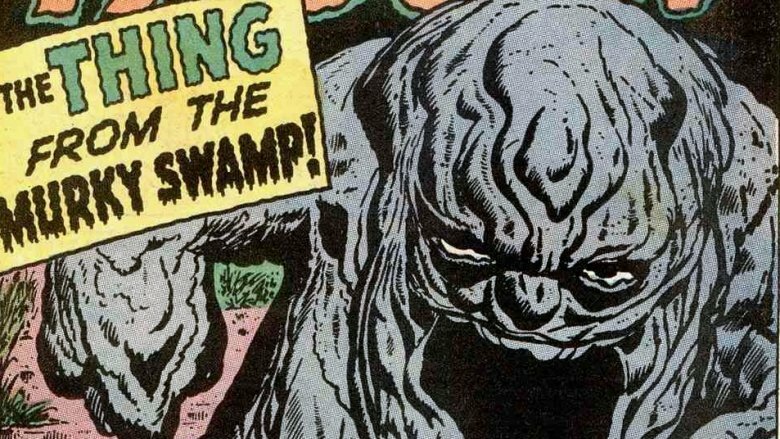 Stan Lee and his collaborators apparently weren't satisfied with creating one comic book that would change everything, however. The Fantastic Four debuted in 1961, but 1962 saw the succession of Ant-Man, Hulk, Dr. Strange, Thor, and oh yeah: Spider-Man. Debuting in August 1962's Amazing Fantasy #15, Spider-Man doubled down on Lee's concept of superhumans with all-too-human problems. With Peter Parker, Lee and artist/co-plotter Steve Ditko introduced a teen hero (another innovation; prior to this, teens were relegated to sidekick status) who operated primarily out of guilt and couldn't win for losing. He was bullied at school, harried at work, and was constantly overwhelmed with anxiety about his elderly aunt. He used humor as a defense mechanism to deflect from his own lack of self-confidence. The very first page of his very first appearance shows all the popular kids at school calling him a nerd. And that's before you even get into the fact that he's constantly being attacked by millionaires in elf costumes and Russians in leopard-print yoga pants. He's not exactly millionaire Bruce Wayne. 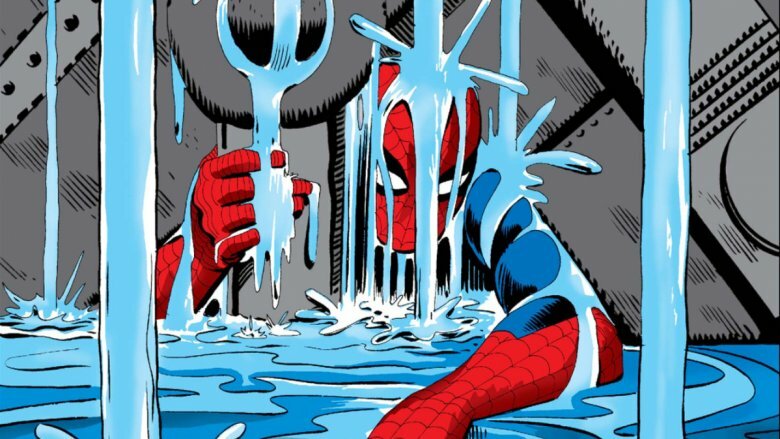 Venues as disparate as Forbes, Esquire, and Comics Alliance all agree that Spider-Man is the greatest superhero ever created, and they're not wrong. No, don't argue. It doesn't matter how you feel about Green Lantern. It's definitely Spider-Man. The wave of imitators, even from Marvel itself (Nova, Speedball, Darkhawk, Ultimate Spider-Man, the other Ultimate Spider-Man, etc. ), shows that even over 50 years later, everyone's still trying to catch that Spider-Man heat. If you picked up an issue of Justice League of America in the fall of 1961, you would get a fun, if somewhat formulaic, three-part adventure in which the various Leaguers split into smaller teams to defeat a space monster or something. You might also notice that each character's dialogue is more or less interchangeable; moving a speech balloon's tail from Superman to the Atom would go completely unnoticed. 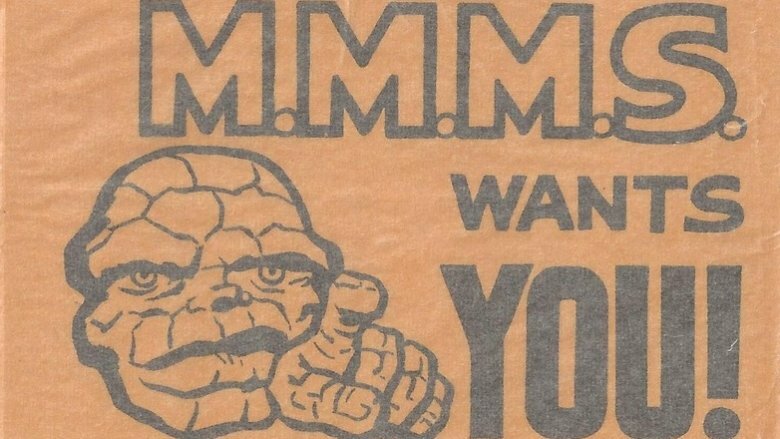 Reading an issue of Fantastic Four from that same month would be like a splash of cold water to the face: characters had distinct voices and clear characterization, and they bickered. Oh, how they bickered. Flawed, relatable characters would become a hallmark of Stan Lee's style that's still associated with Marvel Comics today. 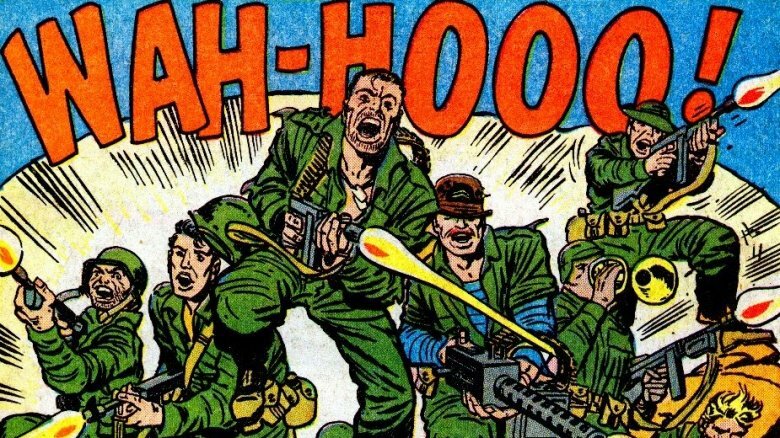 But Lee and his collaborators also introduced a number of other innovations, sometimes out of necessity, that changed the way comics were made. The fact that Lee was more or less the only writer in Marvel's early days (his brother Larry helped out sometimes) led to the creation of the Marvel method, wherein the artist did the bulk of the story's plotting, and Lee would write dialogue over the finished art. 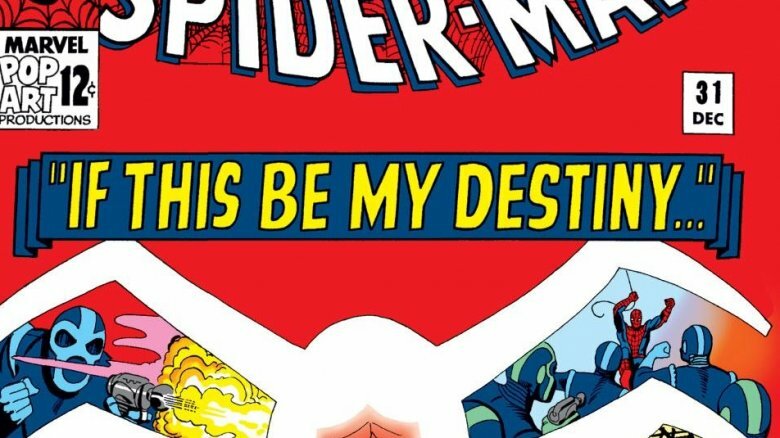 This led to bold, dynamic, art-forward stories that made Marvel stand out from its competitors. Lee's busy schedule also led to the birth of multi-part stories and ongoing continuity, and of course Marvel Comics emphasized the "shared universe" element of superhero comics that it would, years later, trailblaze in movies as well. Stan Lee's innovations extended beyond simply what happened on the comics page. He also cultivated a dedicated and rabid fanbase who would shout "Make Mine Marvel!" through letters pages and the Merry Marvel Marching Society fan club. With a highly personable and affable style, Lee crafted the image of the Marvel bullpen as a cool family that the reader could feel like a part of in text pieces in the Bullpen Bulletins page, especially his Stan's Soapbox column. Marvel Comics also managed to stand out from the pack by aiming their stories at teenagers and young adults rather than children. Besides making characters like Spider-Man and Silver Surfer popular on college campuses, this also meant that Lee could address more sophisticated social issues not only in his stories (like the corny-in-retrospect but important-and-progressive-at-the-time story about Harry Osborn using drugs that received a letter of commendation from the Department of Health Education and Welfare) but also in his Stan's Soapbox columns. One particular text piece went viral in 2017 in the wake of the white supremacist rally in Charlottesville, Virginia, that shows Lee condemning racism in no uncertain terms back in 1968. "Sooner or later," Lee said, "if man is ever to be worthy of his destiny, we must fill our hearts with tolerance." Off the page, Lee also created the Stan Lee Foundation in 2010, which is dedicated to providing access to literacy resources, "promoting diversity, national literacy, culture, and the arts," and "building a community of learners, collaborators and creators." According to Vulture, by 1965, Marvel was selling 35 million comics a month, or roughly one comic for every five people in America at the time. In a very literal way, through his editorial and writing style, together with his tireless hucksterism and evangelism for comics, Stan Lee saved the comics industry in the 1960s. But that wasn't enough for Lee. Like the most famous of his many catchphrases — "Excelsior!" — Lee wanted to go ever higher. In 1972, Lee found himself — at age 50 — no longer writing comics on a daily basis for the first time since he was a teenager. New ownership at Marvel installed Lee as the president and publisher, and he stepped down from writing monthly comics (he also stepped down from the president position pretty quickly to focus on the more creative publisher position). But Hollywood was in his sights. In 1980, Lee moved to Los Angeles in order to promote Marvel properties as television and movie projects. As strange as it may seem today, this was actually pretty difficult at the time. Nevertheless, he became executive producer and sometimes narrator for a number of Marvel projects, including the 1980s Incredible Hulk cartoon and the 1990s Spider-Man cartoon. 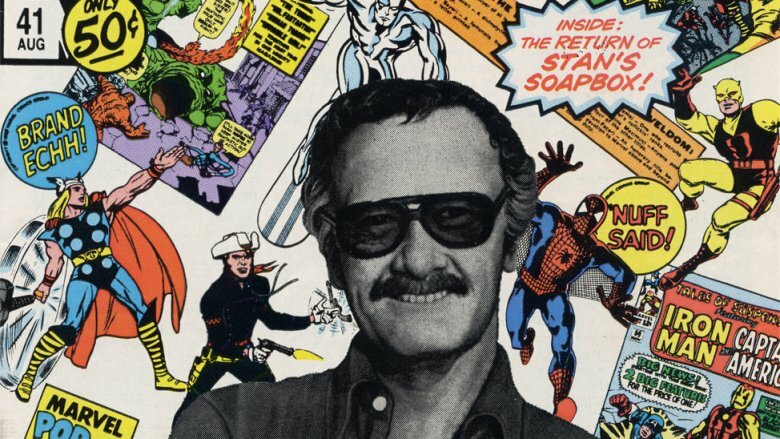 He would occasionally pop back into the comics writing game for projects such as Just Imagine Stan Lee Creating the DC Universe, but in later years he focused on multimedia projects, first for Stan Lee Media and then for POW! Entertainment. In the 1989 TV movie The Trial of the Incredible Hulk, Stan Lee made a cameo appearance as the jury foreman in the trial of Dr. David Banner. 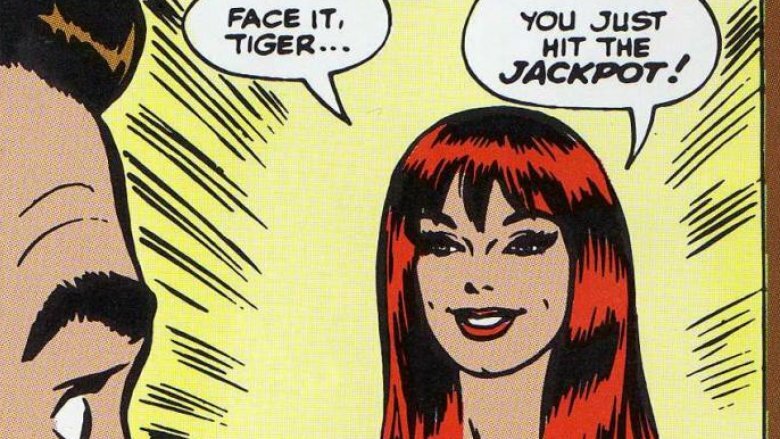 This would be the first of a truly staggering number of cameos in Marvel Comics film and TV projects (and also The Princess Diaries 2, for some reason). 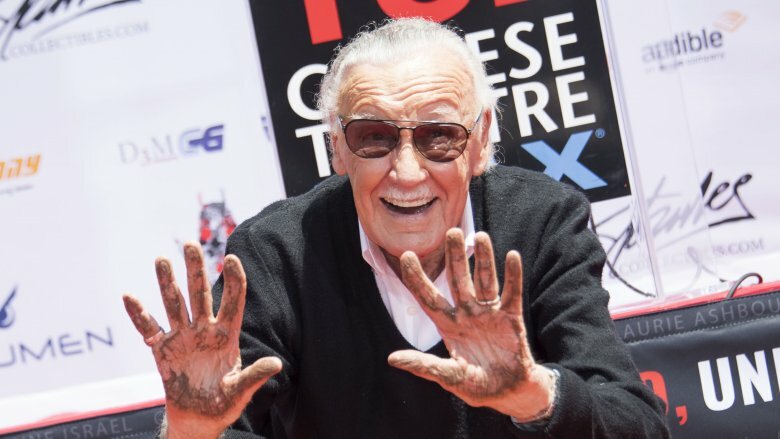 Starting with 2000's X-Men, Lee made an appearance in nearly every Marvel film and television production, leading to literally dozens of cameos, including playing the Fantastic Four's mailman Willie Lumpkin in 2005's Fantastic Four and his real-life friend Hugh Hefner (or a reasonable facsimile thereof) in 2008's Iron Man. But even before becoming one of the most recognizable faces in a multi-billion dollar film franchise, Stan "the Man" Lee had indelibly made himself the public face of not just Marvel Comics, and not just superhero comics, but indeed comic books as an entire medium. Stan Lee, through his relentless enthusiasm and natural charisma, turned himself into a pop culture phenomenon and an American icon by co-creating a treasure trove of characters beloved by fans of all ages around the world. It's impossible to turn around these days without seeing a property with Lee's (and Kirby's, and Ditko's) fingerprints on it, which is probably something the Lee of 1958 would never have been able to imagine. He wanted to create novels, but instead he created a universe. Not bad for an office boy from the Upper West Side. 'Nuff said!